Bodycare presents sleeveless vest for your little champ. 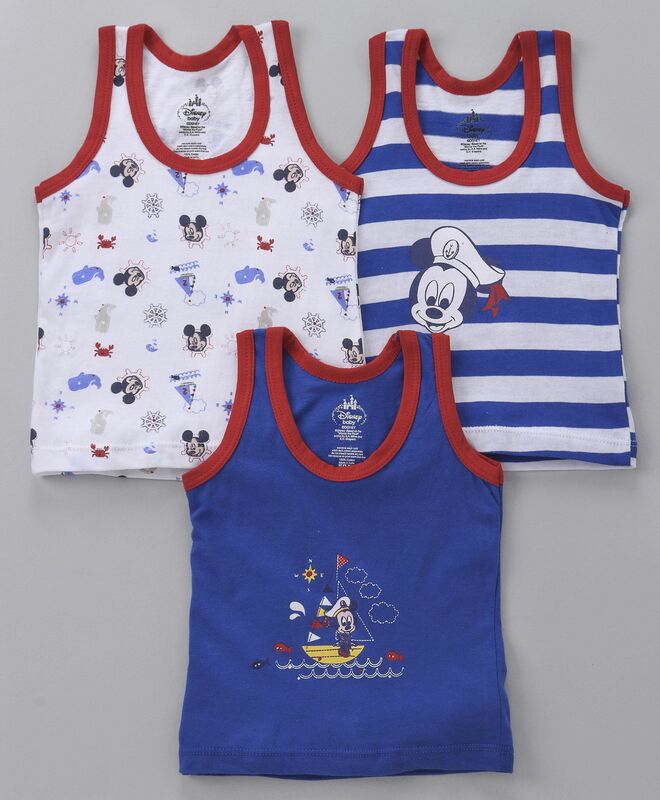 Trendy Mickey Mouse & Stripes print on solid colour makes it look attractive. Round neck adds elegance of style to it. This vest will keep champ comfortable all day long.